We awaken to yet another disturbance in the chronosphere — our twice-yearly jolt from resetting the clocks, mechanical and biological. Thanks to Daylight Saving Time, we get a dose of jet lag without going anywhere. Most people would be happy to dispense with this oddity of timekeeping, first imposed in Germany exactly 100 years ago, during the First World War. But we can do better. The time has come to deep-six not just Daylight Saving Time but the whole jury-rigged scheme of time zones that has ruled the world’s clocks for the last century and a half. The time-zone map is a surrealist hodge-podge—a jigsaw puzzle by Dalí. Logically you might assume there are 24, one for each hour. You would be wrong. There are 39, crossing and overlapping, defying the sun, some offset by 30 minutes or even 45, and fluctuating on the whims of local parliamentarians and satraps. The cacaphony of hours confuses global communication. If your teleconference is scheduled for 10:00 BST, will that be Bangladesh Standard Time, Bougainville Standard Time, or British Summer Time? Let us all—wherever and whenever—live on what the world’s timekeepers call Universal Time, or UTC (though “Earth time” might be less presumptuous). When it’s noon in Greenwich, England, let it be 12:00 everywhere. No more resetting the clocks. No more wondering what time it is in Peoria or Petropavlovsk. No more befuddled headaches crossing the International Dateline from Tuesday back into Monday. Our biological clocks can stay with the sun, on local time, as they have from the dawn of history. We can continue to live our days and nights as we like, waking and sleeping with the light and the darkness, or not, according to taste. Only the numerals on our devices will change, and they have always been arbitrary. Some mental adjustment will be necessary at first. Every place will learn a new relationship with the hours. New York (with its longitudinal companions) will be the place where people breakfast at noon, where the sun reaches its zenith around 4 PM, and where people start dinner close to midnight. (“Midnight” will come to seem a quaint word for the zero hour, in places where the sun still shines, and future folk will puzzle over the term “high noon.”) In Sydney, the sun will set around 7 AM, but the Australians can handle it; after all, their winter comes in June. The human relationship with time changed dramatically with the arrival of modernity—trains and telegraphs and wristwatches all around—and we can see it changing yet again in our globally networked era. It’s time to synchronize our watches for real. It was by no means the whole story. Time, that most ancient and mysterious of our masters, seemed to be coming under human jurisdiction. Time seemed malleable. It was no coincidence that H. G. Wells now invented his time machine, nor that Einstein invented relativity soon after. With everything still unsettled, Germany created Sommerzeit, “summer time,” as Daylight Saving Time is still called in Europe. In England, King Edward VII, had the clocks on the royal estate moved forward a half-hour—“Sandringham time”—to allow more evening light for hunting. Aymé was reacting in part to the politicization of time zones: the Nazis imposed Berlin time on Paris when they occupied it in World War II. It is no less political today, no less arbitrary, and no less confusing. Last year North Korea set its clocks back 30 minutes to create an oddball time zone all its own, Pyongyang time—just to show that it could, apparently. 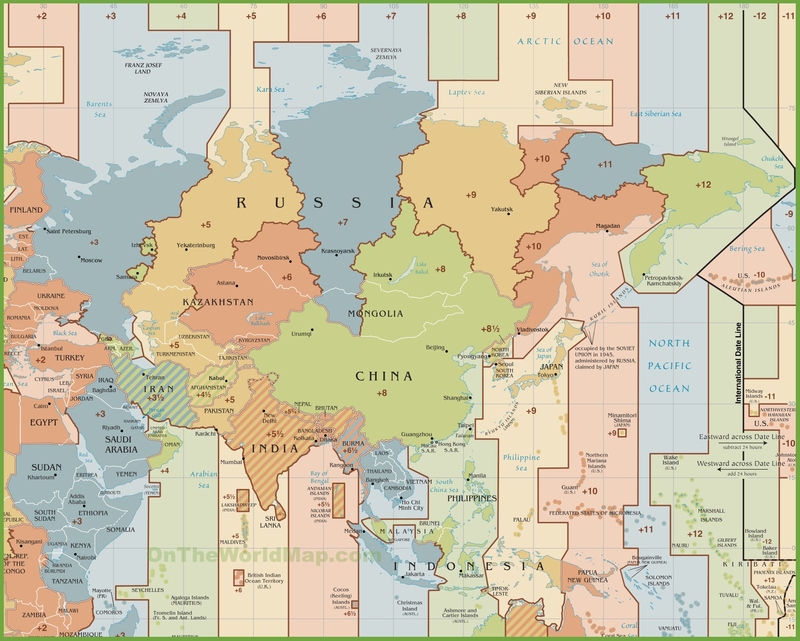 On the other hand, China has established a single time zone across its breadth, overlapping six time zones in its northern and southern neighbors. Drawbacks? Those bar-crawler T-shirts that read “It’s 5 o’clock somewhere” will go obsolete. It might seem impossible to imagine all the world’s nations uniting behind an official Earth time. We’re a country that can’t get seem to rid of the penny or embrace the meter. Still, the current system is unstable, a Rube Goldberg contraption ready to collapse from its own complexity. The human relationship with time is changing again. We’re not living in the railroad world anymore. We’re living in a networked world—a zone of experience where the sun neither rises nor sets. What time zone governs Twitter? What time is it on Facebook? There’s plenty to argue about in cyberspace, as in the real world. We could at least agree on the time. Still using Imperial measures; it’s time they were abolished. You post the Times excerpt to show how ridiculous the whole thing seemed back then, but tell me, the day before the switch-over, when it was 8:00 in the morning for the reader in New York, what time was it for the reader in Denver, or the one in San Francisco? Seems to me that it would be just about exactly the same as the day after — or ten or twenty minutes off, making it even harder to send telegrams. The fact is, they were time zones before the railway came along — everyone set their clocks to 12 noon. The idea that global commerce and communications would be smoother seems even odder. Instead if just looking up when the overlapping business hours were, we would have to say “Well, when do people in Sydney typically wake up?” We would be doing all the exact same calculations, but without the benefit of trivially-easy conversions. While a case can be made to improve some time zone boundaries, your proposal to eliminate them disregards good reasons to maintain local time. Human evolution was driven by the local diurnal cycle. Our earliest time-keeping systems tracked the sun and divided days into logical segments, e.g. morning, noon, afternoon. Most human life still follows the diurnal cycle of local time. Travelers can easily adjust their watches to the local time so that morning, noon, evening, etc. have familiar numerical values. During my 21-year career as an airline pilot, I did this regularly with a few button presses on my watch which could also display G.M.T. (now U.T.C.) as needed. Today, any computer or smart phone can easily display the time anywhere. Knowledge of time zone differences is also necessary to avoid calling people in the middle of the night. Finally, the essential concepts of today, tomorrow, and yesterday are dependent on local time. I doubt that most Californians would appreciate having tomorrow begin at 4 p.m. The system ain’t broke; don’t fix it. The anniversary and all, I understand, but if you want to sell this idea, you’re going to need to spring forward, to the cranky, short-changed masses on the leading edge.